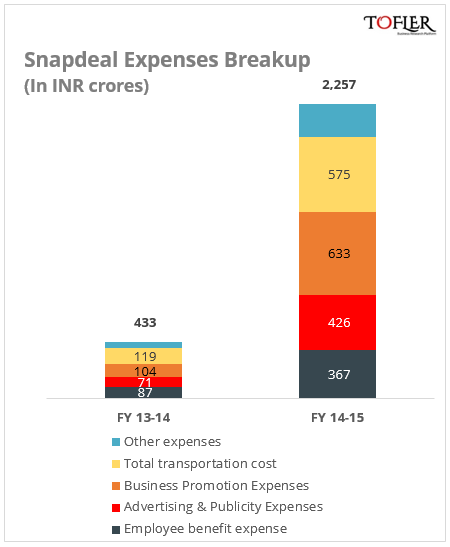 Jasper Infotech Private Limited, which owns and operates Snapdeal, reported its revenue at INR 938 crores out of which INR 766 crores is the revenue from operations. 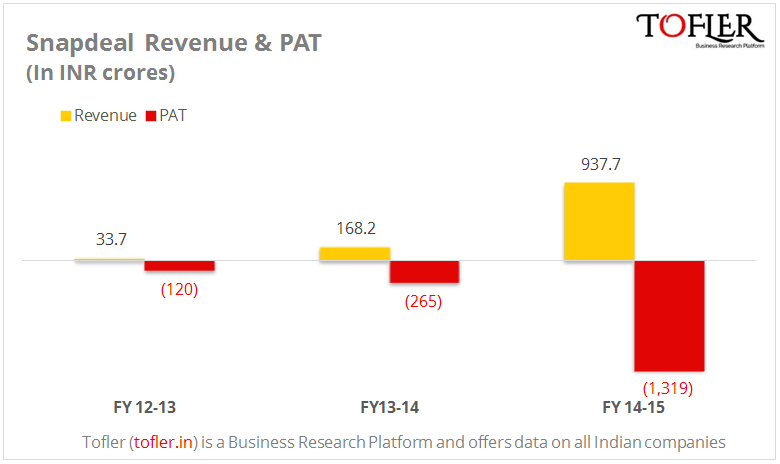 This is a 450% growth in the revenue from INR 168 crores (INR 154 crores from operations) last fiscal. 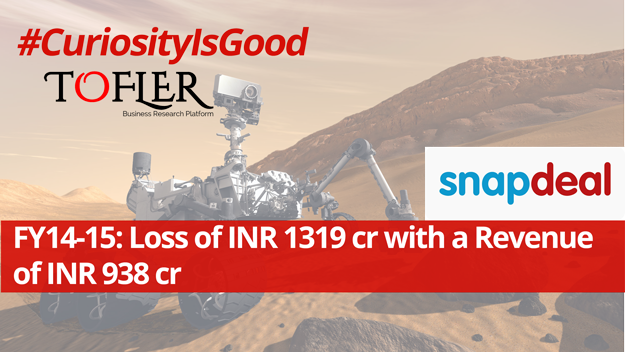 Loss reported against this revenue is a staggering INR 1319 crores which is roughly five times than that in the previous fiscal. Jasper has raised a total funding of INR 10,492 crores so far, according the documents filed with the Registrar of Companies. Out of this, INR 3,187 crores has come in after 31st March, 2015 and INR 6,181 crores came in FY 14-15. This two figures account for roughly 90% of their total funding received so far. Snapdeal counts Chinese eCommerce major Alibaba, OEM phone manufacturer Foxconn and Japanese investment bank SoftBank among its largest investors. And, it’s not just Homes and Autos – Snapdeal has been successful in selling Maggi packets as well (after the ban had lifted) – They reportedly sold over 7,20,000 packs of Maggi Noodles in just 5 minutes! Snapdeal has been experimenting a lot over the last 12 to 18 months in their quest to become India’s biggest eCommerce portal.